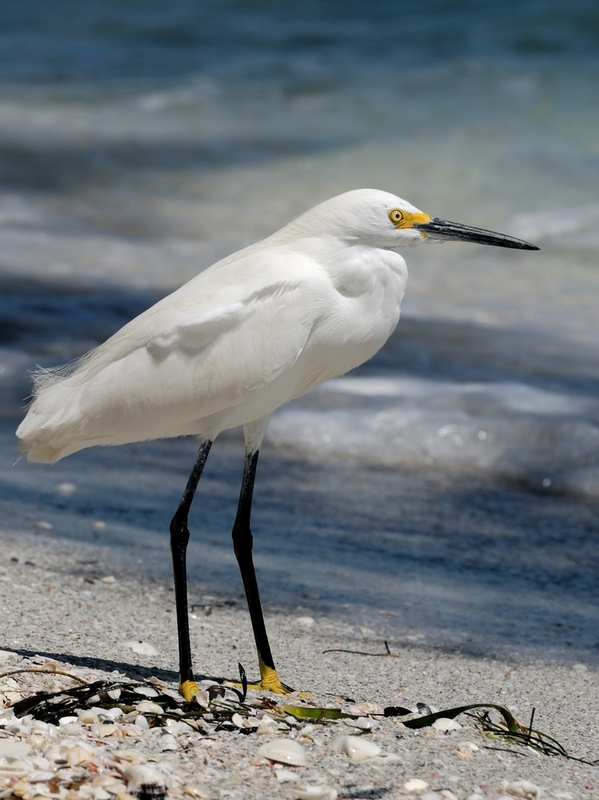 Boca Grande is a small resort village on the south end of Gasparilla Island. The island is one of the gulf coast barrier islands and Boca Grande Pass is the place where Charlotte Harbor meets the Gulf of Mexico. 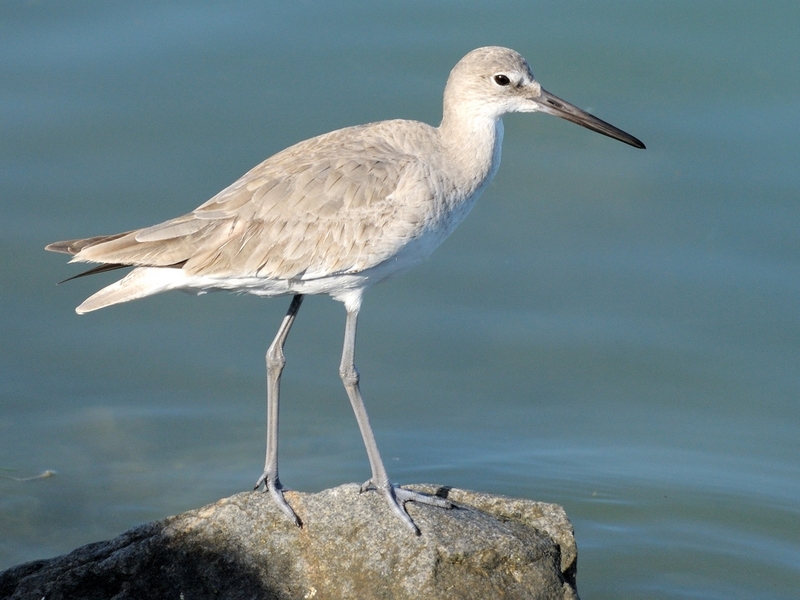 Despite it’s resort and residential nature, it is home to a lot of wildlife. 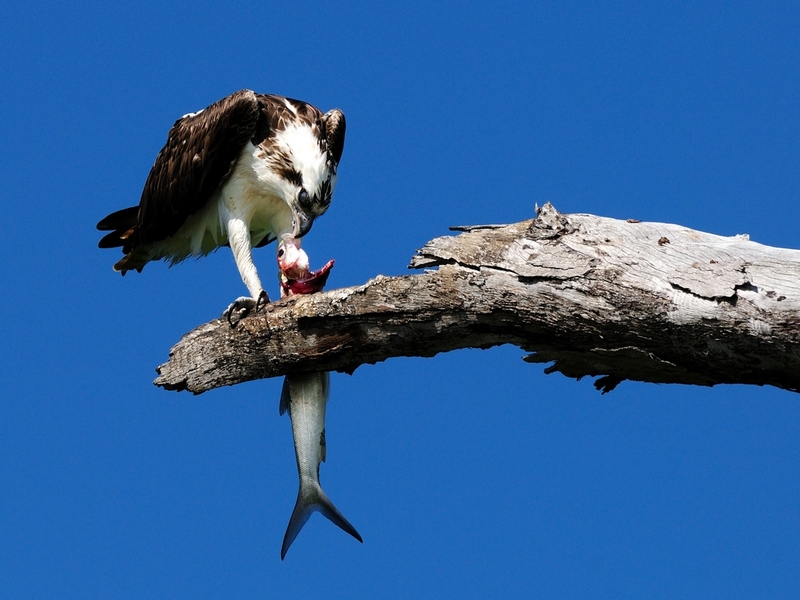 One of the most conspicuous species of bird is the Osprey. But obviously, this one is having a bad hair feather day and isn’t quite ready to pose. 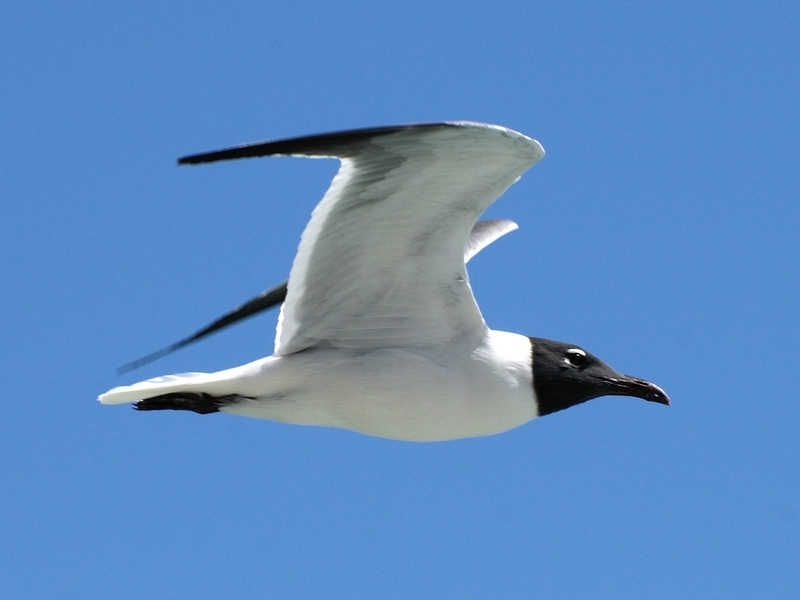 So, while the Osprey’s preen for their pictures, let’s look at a few other birds. Shortly after entering the island via the $5 entrance gate and causeway you will find a small shopping center. 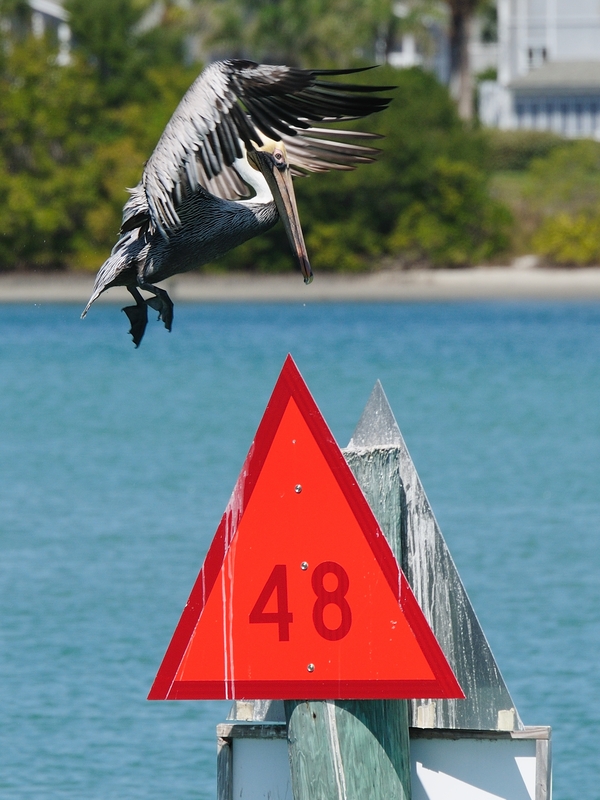 Immediately after this, you will see a small sign for the Boca Grande fishing pier on the left. This is actually a railway grade that was used to haul phosphate and other cargo to the dock near Boca Grande pass. 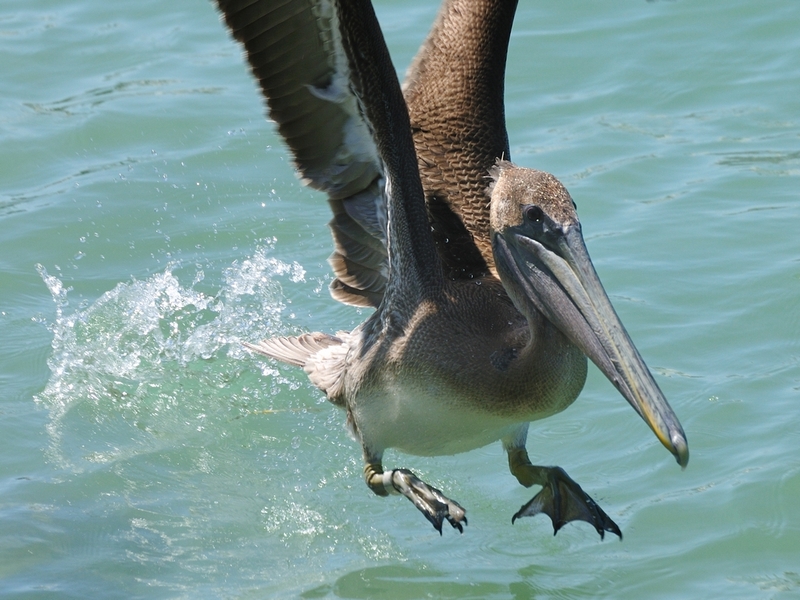 The fising pier is a great place to find Pelicans, Gulls, Cormorants, Anhiga and other fishing birds. Here are a few. 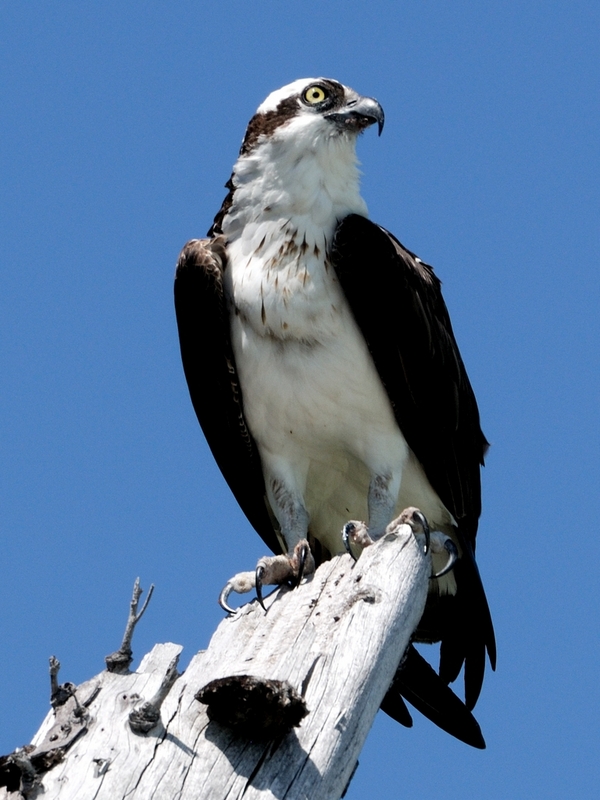 The best place to find Ospreys though is at the other end of the island near the Boca Grande Lighthouse at the pass. 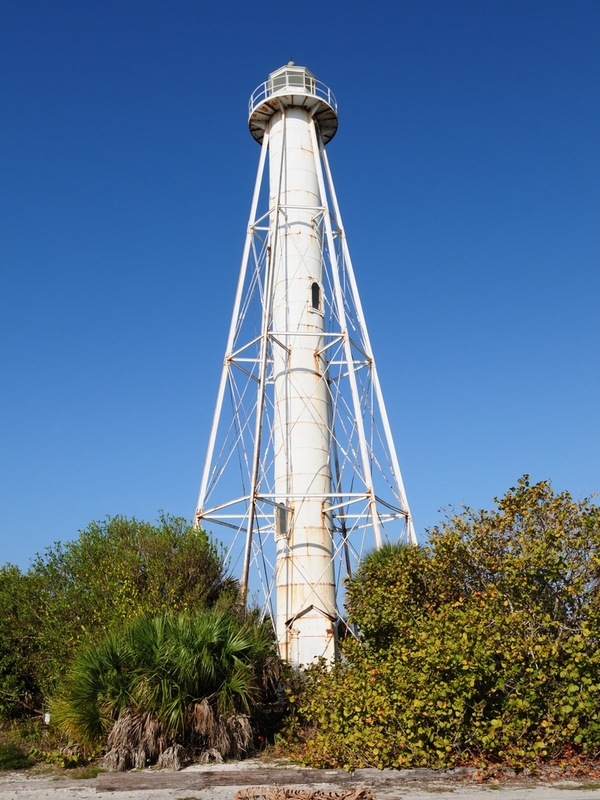 While the lighthouse is worthy of a visit in it’s own right, I usually just keep heading across the dunes toward the abandoned phosphate docks. 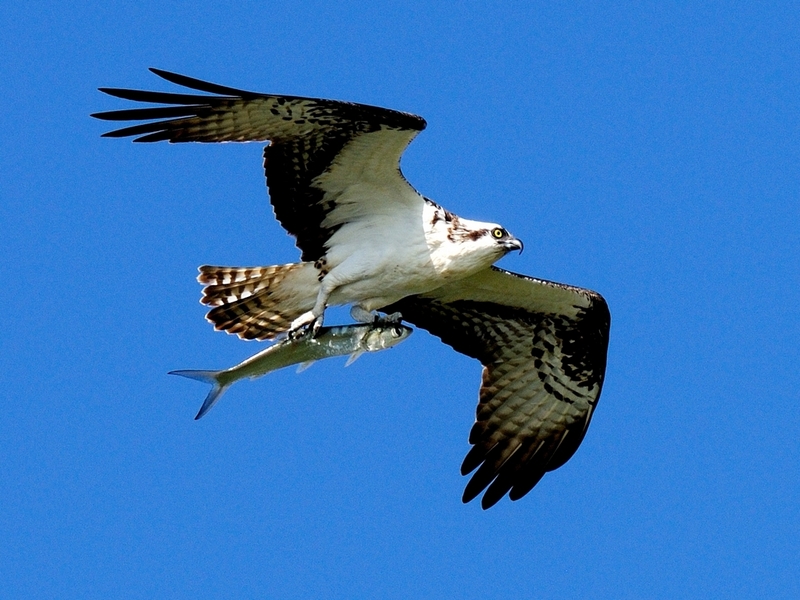 Go beyond them and you find yourself in prime Osprey country. 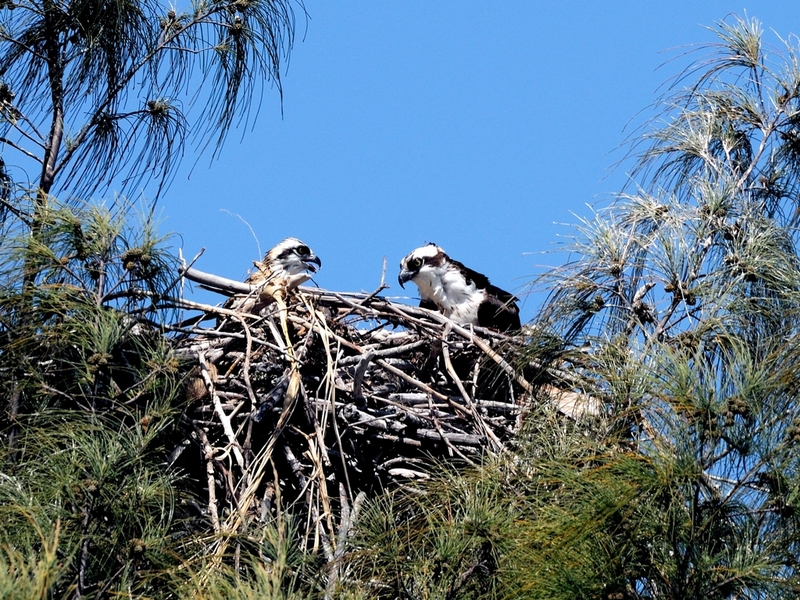 In fact, there is a very visible nest which hangs over the shoreline and now contains a baby osprey. A few more weeks and it will be flying. 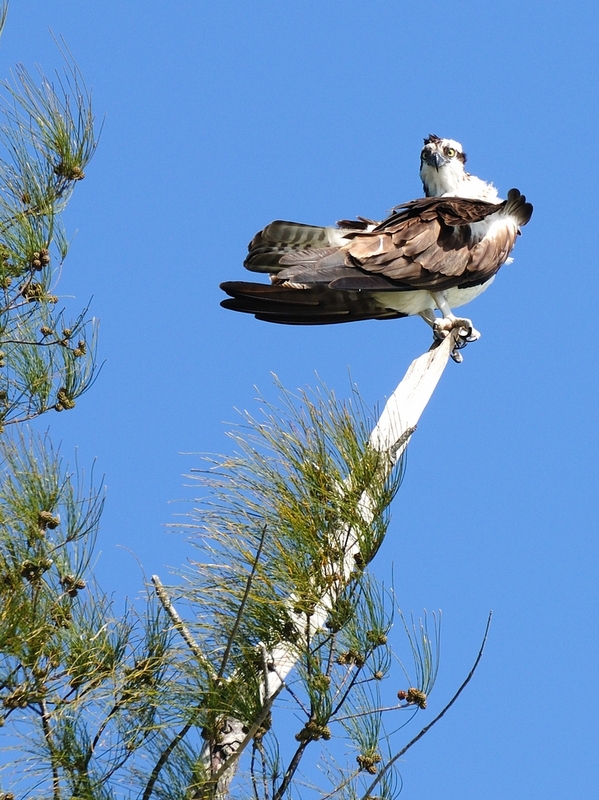 Here are a few more shots of ospreys. 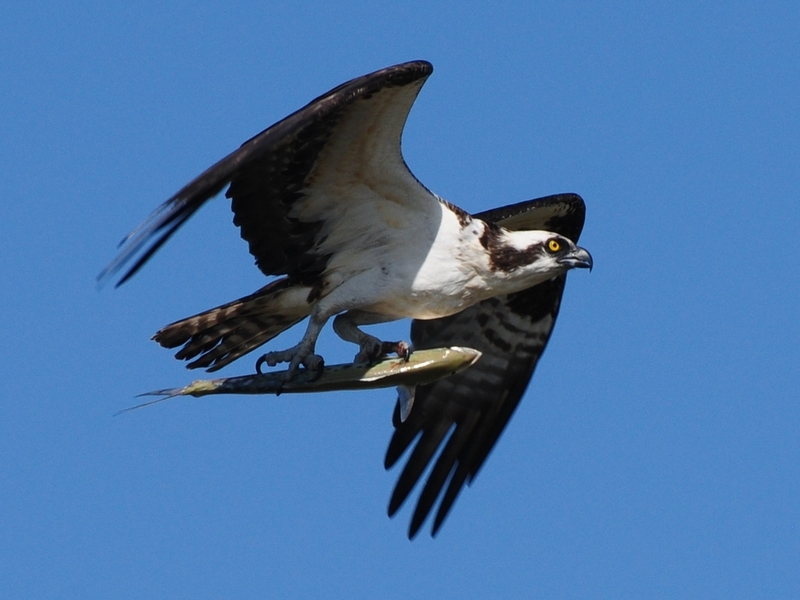 In the first two, you can see there are divergent views in the Osprey fishing community regarding the proper method for carrying a fish. This is undoubtedly a topic of heated discussion in osprey bars after the days catch. Clearly the osprey on the left prefers the horizontal ‘surfboard’ carry whilst the one on the right prefers the natural upright position. Either way, the result is the same. 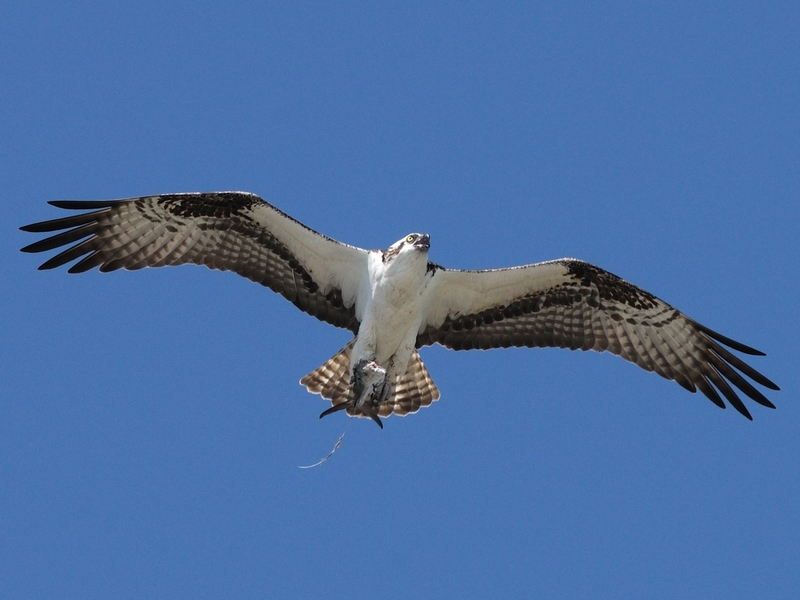 and once the catching bird is through feeding, it carries the leftovers to the nest for baby. 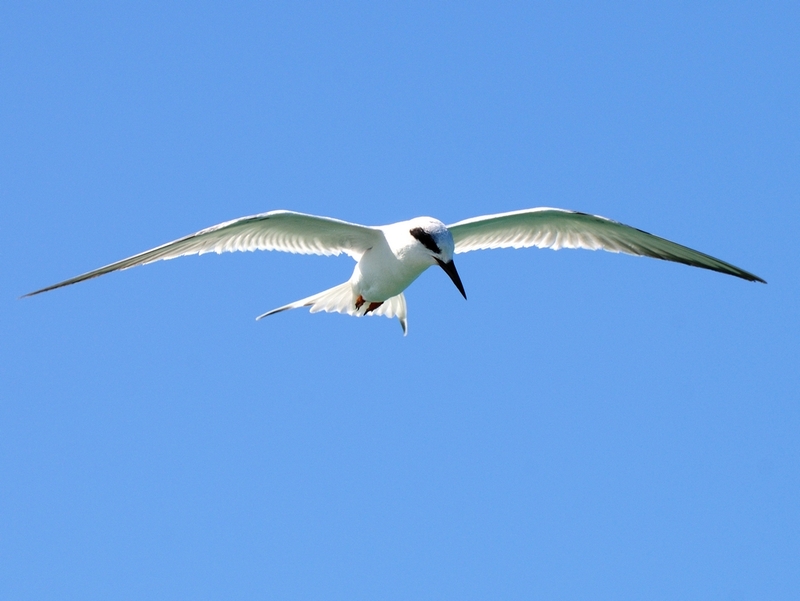 Here are a few more bird shots from around the island. As usual, click on a picture to see an enlarged version and use the back arrow of your browser to return. This entry was posted in Bird, Park, Scenic and tagged Photography. Bookmark the permalink.